Buying a used car can be stressful. You don’t want to get stuck with a lemon that, more often than not, ends up costing you more than the vehicle’s price tag. By using our Used Car Checklist of course! Click here to download (it’s free!). At DriveTime, we complete a multi-point inspection process* to flag any potential issues before our vehicles ever hit our dealerships. But what if you are buying a used car from an individual seller or another dealership that doesn’t have our same inspection process? How can you be sure you are getting a good car at a good price? We created this used car checklist to help you make the right decision if you find yourself in this situation. Here are a few things to keep in mind while doing your research. Before you begin your research, determine the price range you want to stay within. There’s no point spending hours looking into the Audi R8, if you have a maximum budget of $20,000. If you are going to finance the vehicle, the 20% rule is a good rule-of-thumb. Do not spend more than 20% of your take-home pay on automotive related expenses. This includes car insurance, gasoline, registration fees, maintenance, and repairs. Everyone is different when it comes to a car’s features. If you live in California, that sun-roof is probably a necessity. If you live in the Colorado mountains, all-wheel drive is likely a requirement. Make sure you know what years, makes, models, and trims have the features you want. When you begin doing research, make sure you’re only looking into vehicles that meet your feature requirements. You should do your best to prevent car accidents, but you can't always control the actions of other driver. The next best thing is to ensure you are in a safe automobile. All modern cars are rated by the National Highway Traffic Safety Administration (NHTSA), 5 stars being the safest. To see what makes these the safest cars according to the Insurance Institute for Highway Safety, click this link. Remember the 20% rule from above? If you live in a state with high gas prices, this can be a serious expense. You can counter this expense with a vehicle that has good fuel economy. Check out the most fuel-efficient cars according to Consumer Reports. Used cars can vary considerably in price. Some dealers will put a very high list price on their cars but are open to negotiation. So it’s important to know how much a car is worth. After all, you don’t just want your dream car, you want it at your dream price. How do you find the market value of a used car? Your first stop should always be something like the Kelly Blue Book pricing tool. KBB’s Fair Market Range and Fair Purchase Price are calculated utilizing a large amount of data and are considered the industry standard for pricing. At DriveTime, we list the Kelly Blue Book Fair Market Range on our website, so you know the market value before you buy from us. So while the list price may be $8,000, with financing, sales tax, and fees, you will undoubtedly end up paying more. 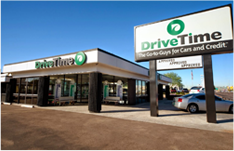 At DriveTime, we are transparent when it comes to our pricing and financing. We are a no-haggle dealership and you can even get your down payment online! Once you find a vehicle with a fair market value that is within your budget, the next step is to work out your financing options. Before you head to the dealer, make sure you understand the basics of how financing works. Check out the video below on simple interest loans to start your education! So what impacts your financing? The terms of your deal are dependent on a number of factors, but your credit score is a major driver of the terms of your financing. At most dealers, the better your FICO score is, the better terms you’ll receive on your loan. At DriveTime, we have our own proprietary credit scoring model that takes hundreds of data points into consideration. That means we look at more than just your FICO score to approve you for financing. Before you go to the dealer, be sure to go through the pre-approval process. The main reason for doing this is to provide yourself with options. Preapproval means you already have some idea what your financing should look like before you start negotiating with a dealer. Once you are at the dealership, if the dealer wants you to finance through them, they need to provide you with better terms on the deal you already have. Be prepared. Some dealers may treat you different if you do not finance through them. At DriveTime, we make sure every customer receives top-notch customer service, no matter who they choose to finance through. Pay More. Pay Often. Save. Now that you know how financing and simple interest loans work, you know that the more money you put down and the larger your payments, the less you will end up paying overtime if everything else is equal. If you have extra money at the end of the month, use it to pay your loan! This will save you in the long-run. 4. Will Your Car Insurance Rate Increase? Don’t forget about auto insurance costs when upgrading your vehicle. More likely than not, your rate will end up changing. There are a number of factors that affect your car insurance rate and each insurance company has their own algorithm for determining your rate. You best bet is to get quotes from multiple insurance carriers or contact a local independent insurance agency who can get you quotes from a variety of carriers. Even though shopping for auto insurance can be a hassle, it’s a necessary evil. 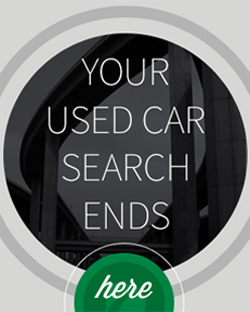 You should never buy a used car without a vehicle history report. These reports can save you big in the long term by revealing any previous problems the car has had. Every car we sell at DriveTime comes with an AutoCheck history report. Two of the largest vehicle history report providers are CarFax and AutoCheck. AutoCheck is much better at tracking cars that have been through auction and also offers reports based upon the VIN (Vehicle Identification Number). CarFax offers better mileage verification and owner information. If you’re interested in learning more about the differences between CarFax and AutoCheck, you can find out more in DriveTime’s in-depth comparison. Branded titles are given to cars when they have been declared a total loss by an insurance company and salvaged because of an accident, flood damage or something else. Otherwise known as salvage titles, these cars can have serious problems. It’s best to avoid them. A vehicle history report will call out a branded title, so it’s we recommend that you only buy vehicles with a vehicle history report present. Do they have even wear? Do they have a quarter inch of tread left? Use the penny test. Are all four the same brand and tire? Is there any damage underneath the car? Is there any rust underneath the car? Do all the doors work as intended? Do they creak or are they stiff? Does the trunk open smoothly? Does the hood open smoothly? Is the gas cap in good condition? Are there any cracks in the windshield? Any dents or marks? If you find something you don’t like the look of, don’t write the car off immediately. Instead, investigate further. A tiny chip on the windshield can be easily filled, while a single speck of rust isn’t necessarily a sign of major issues. If you are unsure of the condition of a vehicle, have a mechanic take a look at it. You really just want to watch out for major damage and rust. Not everyone is a mechanic. Luckily, you don’t have to have an engineering background to identify major issues. Check the oil of the vehicle you are inspecting. Pull it out again and check the oil level on the stick. Check the oil color. If it is light, you’re good to go. If it is dark and thick, the car needs an oil change. One common problem, especially in older cars is coolant leaks. The rubber can split with age, causing the engine to overheat in the summer and your heating to fail in the winter. Here is a guide on how to check for coolant leaks. The interior of the vehicle is where you spend most of your time, so it’s important that it meets your standards. Are there any lingering smells? Are the seats in good condition? Are there any rips or scratches? It’s up to you to determine what is acceptable and what isn’t. Be aware of any moldy smells. This means water damage and is something you should stay away from. Again, it’s up to you determine what is acceptable and what is not. Try to get a quote on how much fixing any interior damages would be and then try to negotiate the price down by this amount if you are still interested in the vehicle. Time to start the car! It helps to bring a friend or family member with you when inspecting a car. Have your purchasing partner start the vehicle and begin testing the lights and blinkers. You should be outside the vehicle making sure they all are functioning properly. Next, check the engine for any sounds or smells that are out of the ordinary. Leave the car running while you look around, which will give you more time to check it over. One of the most important things you should test is the vehicles brakes. Here’s how to do it. Take the car to a highway to drive at freeway speeds. Feel how the car handles high speeds and get a feel for the acceleration. If it’s a stick shift, get to grips with the stick and make sure it doesn’t jam at any points. If the car has cruise control, make sure the feature functions properly. Make sure the A/C and heater works. Does the car pull to one side? If so, there is likely an issue with the alignment. Alignment issues can lead to uneven tire ware. Do you like the visibility you have from the driver’s seat to the road around you? Oil and coolant leaks - they may not show up before a drive. Is the engine running smoothly? Any rattles or clattering? Are there any smells? Get your nose right under the hood. Check the exhaust. Is there any smoke or smells? Check under the car again for leaks. Some cars may look and feel great but hidden problems could still be present. A service record allows you to check what work has previously been done on the car and root out any hidden complications. It’s not a good feeling if you need to change the tires, oil and battery right after purchase. A complete service record will allow you to estimate how long the oil, battery, tires and so on will last. Here are some instant red flags that should automatically stop you from purchasing a vehicle, no matter how good a deal it seems. Rust: A spot or two of rust on an otherwise impeccable car is no problem. But rusted out bodywork is a sure sign that the car has not been cared for and may have problems down the road. Be especially careful of rust on the frame. Bad Smells in the Interior: If the car smells really bad, it could be a sign of something worse than just bad odor. One possibility is water damage, which can cause the carpets and seats to stink. Water damage can severely impact a car in a negative way so it’s best to avoid. The Seller Won’t Let a Mechanic See the Car: One tip is to bring in a mechanic to check over a used car before you buy. But if the dealer won’t let you, that’s a very bad sign. We recommend you leave the dealership immediately if this happens. Prices That Are Suspiciously Low: Use the KBB price guide. If a car is considerably cheaper than it should be, there is probably something drastically wrong with it. If it’s too good to be true, it probably isn’t. Missing Title: A missing title is a deal breaker. A bad title could mean you don’t technically legally own the car. Never buy a car with a missing title. Recalls: One last thing to be aware of is any potential recall on the car. Sometimes faults are discovered in cars after they have already been sold and the manufacturer will recall it for safety reasons. To check for recalls on the vehicle you are inspecting, you can use this tool. Your dream car can turn up anywhere. But buying from a reputable dealer can give you more peace of mind that you made the right purchasing decision. Generally, a reputable dealer will do a much better job at inspecting the car, making sure everything works well and is in good condition. At DriveTime, we go through a rigorous 600+ point inspection process to make sure our cars meet a certain quality standard. If you are considering buying from and individual seller or less known dealership, it’s worth getting the vehicle looked over by a mechanic before finalizing the deal. Now You Are A Used Car Inspecting Genius! There can be a lot of potential pitfalls when buying a used car. But avoiding them is easier than you think – especially with the help of this handy dandy checklist! Remember to do your research first, be aware of what can go wrong, and use a reputable dealer whenever possible. Always go on a test drive and check the history of the vehicle. If in any doubt whatsoever, consult a mechanic. A few hundred dollars in mechanic fees is nothing compared to the cost of a faulty vehicle. One final thought: it’s your sales representative or dealer’s job to ensure that you get a great car for a great price. So ask them questions. Dealers know what they’re talking about, and are there to help you find a car that fits you and your needs. *DriveTime is not able to make safety recall repairs, so vehicles may be subject to open recalls. Visit http://www.safercar.gov/ for more information about recalls. DriveTime also gives buyers a safecar.gov report for their car. Thank you for reaching out to provide your feedback. I am truly sorry to hear that you are unhappy with your vehicle due to the motor issues you had encountered within two weeks of purchase. Please know that we try to avoid situations such as these by performing the initial vehicle inspection that you had touched on in your post. However, due to the nature of pre-owned vehicles, there are sometimes instances in which mechanical malfunctions may arise after leaving the lot. For this reason, each vehicle sold from our dealerships include an initial 30-day/1,500-mile Limited Warranty through SilverRock, as well as the extended Vehicle Service Contract that we offer as an optional product at the time of sale. That said, I want to apologize again for any frustration this situation has caused. In order to ensure that this matter is being properly addressed, I would strongly encourage you to contact our Customer Relations team at your earliest convenience. We can be reached by phone at (888) 290-0148. Thanks again bringing this matter to our attention. We look forward to working with you. Do I have to select vehicles within a certain area of where I live ? Thank you for your question! While we do make our best effort to accommodate our customers whenever possible, it is always recommended that you visit the dealership that has the vehicle you are actively looking to purchase on their lot.